Shoot with confidence from anywhere, at anytime, anyway! 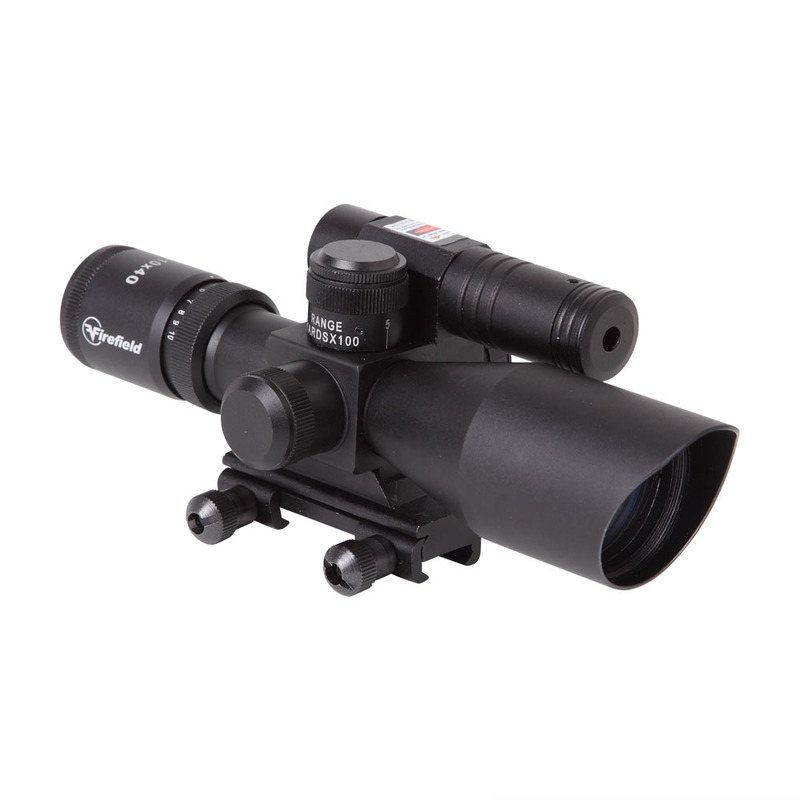 The Firefield Riflescope with Green Laser is equipped with a red and green illuminated Mil Dot reticle that is used for range estimation to help find the distance between the shooter and the target. 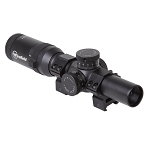 Precision multi-coated optics are the distinguishing feature of the Firefield Tactical Riflescope line and offers the clearest view in both bright and low light situations. 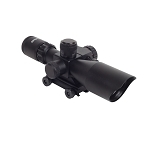 Featuring a built in 5mW green laser, the Firefield Riflescope, is used for target acquisition in rapid changing environments, so it hits the target every time with precision accuracy. 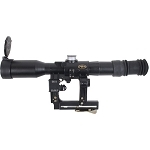 Starting with a low 2.5 magnification for extra wide field of view for scanning, the Firefield Riflescope with Green Laser has the ability to make an accurate shot against a quick moving target with a laser for faster action when shooting from the hip. A respectable zoom from 2.5-10x allows the shooter to make an accurate shot at a long distance and keep a tight grouping. 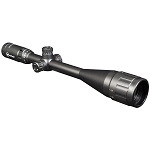 The Firefield Riflescope with Green Laser also includes 100-500 yard .223 bullet drop compensation, which adjusts the elevation of the reticle ensuring that the shooter can achieve zero by moving the compensation turret to the correct yardage. Waterproof and fog proof, the nitrogen filled Firefield Riflescope with Green Laser features windage and elevation adjustment caps for a sleek, streamlined look to the scope. The Firefield Riflescope with Green Laser features a lightweight and shockproof frame, for maximum portability and durability, so every adrenaline-filled moment is intensified. Firefield-Victory Justifies Everything! For my first scope I have to say that I liked it better than open sites, my eyesight isn't the greatest. It took more adjustment to get it to move the shots left then the directions said it should. The indoor range I was firing at was only 25 yds and that made it difficult to zero in. I showed to range guy my target and said it should be good at 100 yds for where I was aiming, so I need to find a longer range.